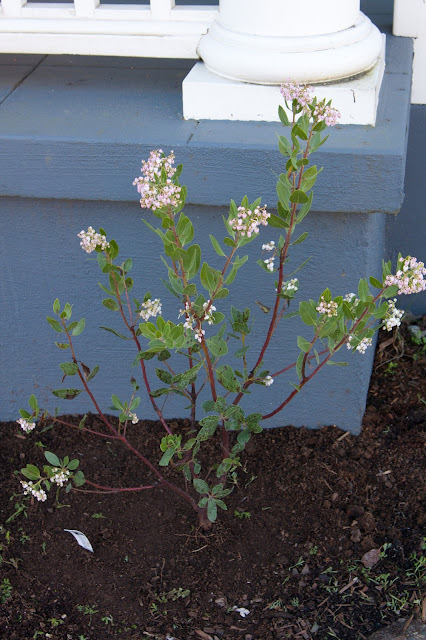 In My Vegan Garden: Holy Manzanita! Matt and I have been on a mission to find regionally-local manzanitas to introduce in our garden. Manzanitas are the taller relatives of kinnickinnick (in fact, they're the same genus). Bees and hummingbirds love 'em. Like kinnickinnick, manzanitas are evergreen and have a fairly large range, occurring from southern British Columbia through Mexico. We were looking for two species, Arctostaphylos columbiana (hairy manzanita) and Arctostaphylos canescens (hoary manzanita). 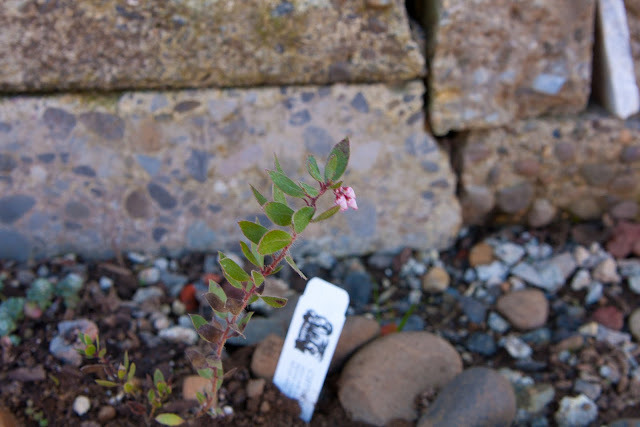 As it turns out, finding particular species of manzanita can be challenging, as this genus has a tendency toward hybridization, including between "manzanitas" and "kinnickinnick". Short of wild-harvesting plants, the best we could do was acquire a few manzanitas that do well in our region. Photo of mature Manzanita x 'Austin Griffiths' from Las Pilitas Nursery website. During a recent visit* to Echo Valley Natives in Oregon City, Matt and I picked up a wild-collected manzanita. Again, due to the wide-variation in the genus related to hybridization, we're not entirely sure what type this is. It's now living above our retaining wall in the front. Last weekend we took our first trip to Cistus Nursery on Sauvie Island. For reasons I don't completely understand it's still the slow season there for retail, so there wasn't much to see. However, that didn't stop us from spending ages deciding on three manzanitas to bring home. 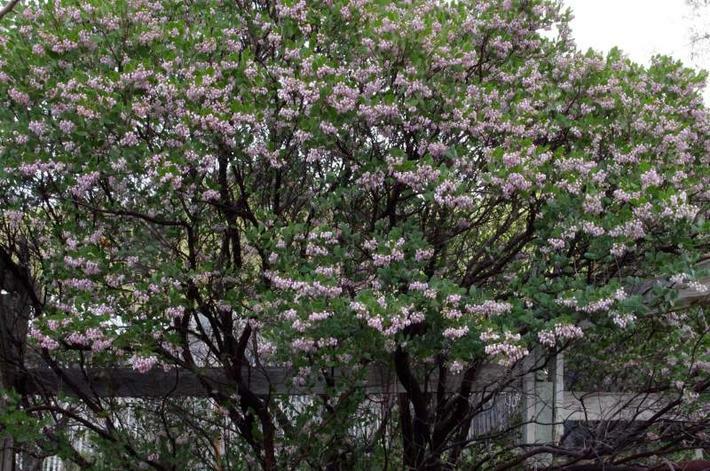 Our Austin Griffiths is loaded with blooms- hurray! Manzanita flowers might look familiar to blueberry growers. Vaccinium (blueberries/huckleberries) and Arctostaphylos are both in the Ericaceae family. 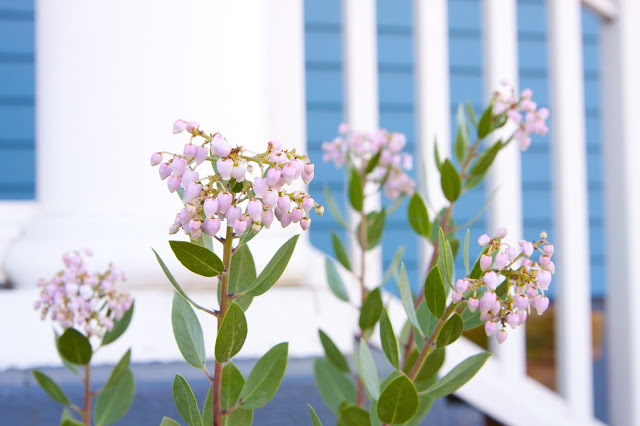 Arctostaphylos x 'Austin Griffiths' is a hybrid described as having "glossy green leaves and dark maroon-brown bark, forming an attractive backdrop for a large cluster of soft pink flowers. The blooms appear in early winter, providing a valuable nectar source for hummingbirds and bees. Over time, this upright manzanita can reach a height of up to 10 feet and width of 4-6 ft."
Welcome to your new home, little guy. And we got two itty bitty Arctostaphylos myrtifolia to flank the steps leading up to the front door. It's hard to tell from the photo, but they have adorable teardrop flowers and bristly stems. Upon researching this species, A. myrtifolia appears to be a federally listed "threatened species" and is endemic to the Sierra Nevada foothills (so not quite native- oops.) We were looking for a manzanita that wouldn't grow more than four feet and this fit the bill according to the folks at the nursery. *Echo Valley Natives turned out to be the only place I could find Euonymus occidentalis, or Western Wahoo. For some reason this wonderfully showy native plant is almost impossible to find in nurseries around here. We brought home two. They're gorgeous in the fall, especially. I'll take photos of ours at some point.